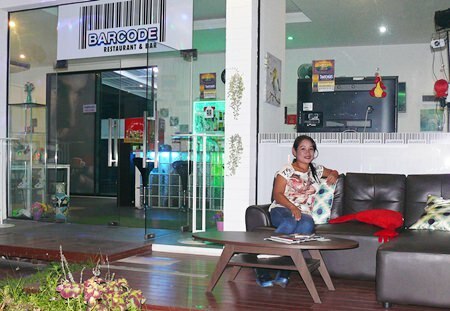 For the lovers of Turkish cuisine, there have not been many choices in Pattaya, but that has changed with the opening three months ago of the Barcode restaurant on the ‘Dark Side’. 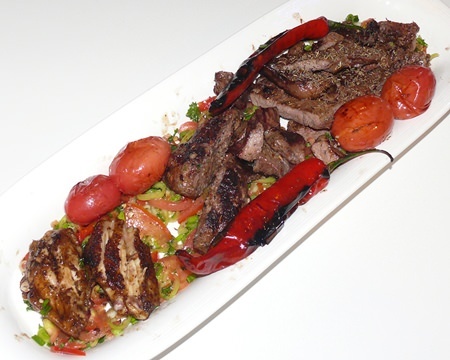 Turkish cuisine is largely the result of the amazing history of the country. Predominant is the continuation of Ottoman cuisine, which in turn borrowed many elements from Greek, Central Asian, Caucasian, Sephardi Jewish cuisine, Middle Eastern, and Balkan cuisines. Turkish cuisine has in turn influenced those and other neighboring cuisines, including those of Central and Western Europe. The Ottomans fused various culinary traditions of their realm with influences from Levantine cuisines, along with traditional Turkic elements from Central Asia (such as yogurt and mantý), creating a vast array of specialties – many with strong regional associations. 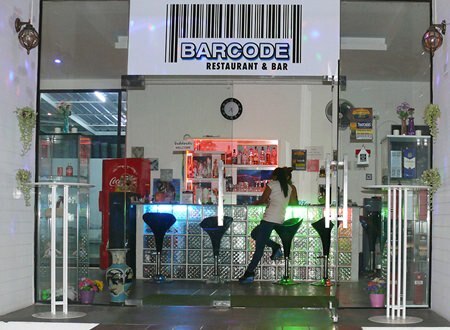 Barcode has plenty of space for those who just want a drink. And that has been the way the Barcode restaurant has evolved as well. 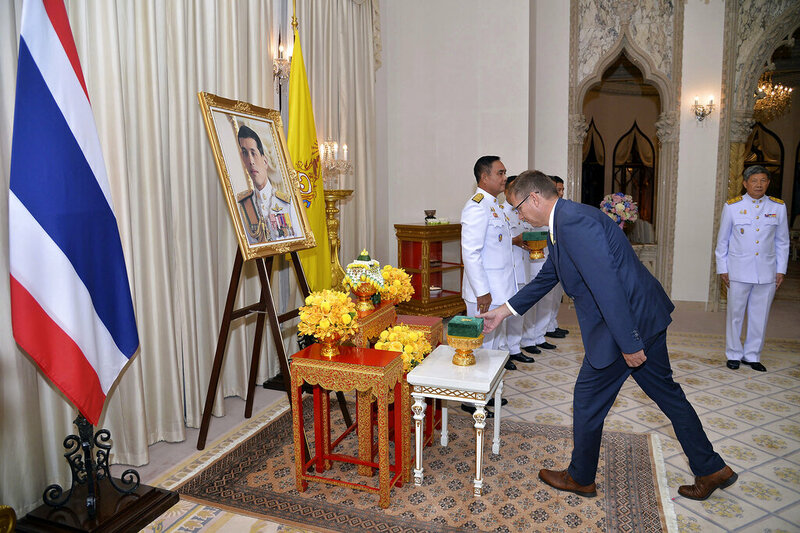 The Turkish family which built the restaurant initially thought their menu should be Thai, but they soon found that there are hundreds of Thai restaurants, run by Thai cooks, and that was not their forte. The result was Barcode was steered towards their own ethnic dishes, true Turkish food, which has more devotees than you would imagine. The restaurant itself is very bright and airy with table settings indoors and a relaxing area outside where you can watch the world go by on Siam Country Club Road. Lots of glass in the interior with a sit-up bar on a glass brick base, and the tables and chairs are white, adding to the clean airy feel. Now here is the next somewhat challenging item when eating at Barcode – forget the menu, it is a throwback to the original cuisine, and no longer relevant, other than it was obvious that Barcode was not an expensive restaurant. Alcoholic beverages range from B. 70 to B. 120 for example. Fish and chips was B. 120 and in true Turkish tradition, there are many lamb dishes. However, the way to experience this restaurant is to be guided by the Turkish chef, and let it be a new experience! The tasting dish was packed with flavours and spices. 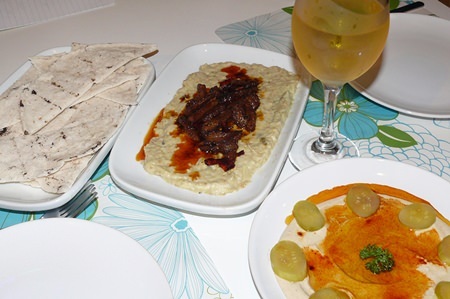 We began with a beef steak on pureed aubergine with the spices being offset by the bland aubergine, and followed that up with a chickpea in garlic as our starters. Unleavened bread was served with these dishes. I was a little apprehensive that the spices could have been overpowering, but that was not the case at all. They were followed by a “tasting” dish with lamb, beef, meat balls and chicken on a salad base, with roasted tomatoes and chilies. A great way to experience the different cuisine of Turkey, and I am sure if you ask for this dish done like this they will oblige you. Too full for desserts, Madame and I had a coffee to finish what had been a most interesting evening. It is a case of being a little adventuresome and trying something different. The Turkish staff are proud of their heritage, and proud of their cuisine. Do try. 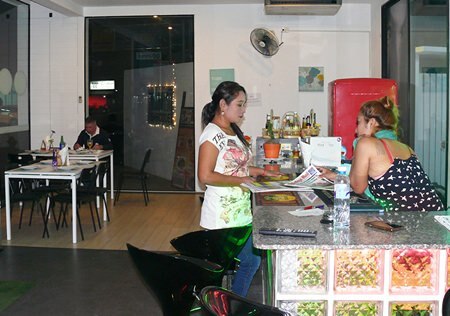 Barcode Bar and Restaurant, 78/3 Siam Country Club Road (about 2 km down from the traffic lights, on the right hand side and before the GB bar and CC on the left), off-street parking, open seven days, 11 a.m. until 10 p.m., Karaoke nights Saturday, telephone 086 557 5379. The eggplant with beef finished with chilli oil.